It is hard for me to imagine anything more important than high quality relationships. This is equally true in our personal and professional lives. As such, I thought it appropriate to do the first blog on the importance of relationships. Relationships exist between individual people, not between companies, organizations, agencies, cites, counties, states, countries or other groups of people. I believe it is common to develop a preconceived notion of individuals based on the reputation of a group of people. Still, relationships are between individual people and we can never forget that. 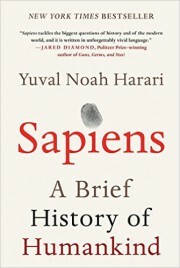 I am currently reading Sapiens- a brief history of human kind by Yuval Noah Harari. Harari begins by stating that we are an animal of no significance. Then about 70,000 years ago the Cognitive Revolution began as people began to form cultures. Then the Agricultural Revolution hit about 12,000 years ago, followed by the Scientific Revolution only 500 years ago. Throughout these revolutions, tribes, towns, cities, states, empires and finally nations have formed. Our imaginations have created social, political, legal and economic arrangements with associated norms, religions, beliefs, values, traditions, monetary currencies and desires. These “imagined orders” have changed many times over the millennia and will continue to evolve in the future. Nonetheless, we are left with the reality that we are social beings bound together by the relationships we create in our personal and professional lives. In many ways those relationships are what sustain us. We have changed very little in this regard. There are many elements to building and maintaining relationships – trust, mutual respect, tolerance, authenticity, transparency, being vulnerable, avoiding being judgmental, forgiveness, feeling safe, making and honoring commitments and apologizing when mistakes are made. As part of my leadership theme, I will address some of these people-based elements in addition to results-driven elements in future posts. It is also powerful when people believe in you, and you in them. I draw inspiration from those that believe in me. Harari, Yuval N. Sapiens: A Brief History of Humankind. Harper, 2015. Print.